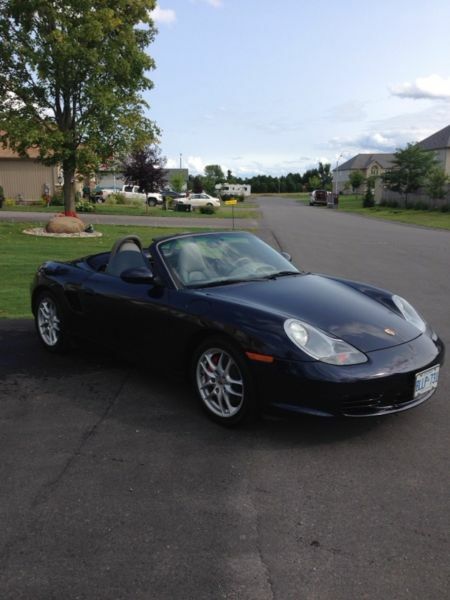 Selling my 2003 Boxster S with 80,000KM (49,700 Miles). Car is originally a Florida car before being imported to Canada by the previous owner. Car is grey interior on dark blue exterior. I have owned since September 2014 where I got it with 67,000KM. Oil changes done annually with Mobil1 and I've checked the filters for metal shavings and there have been none. IMS bearing was upgraded to the LN Engineering single-row bearing as soon as I got the car in 2014 and the car is running perfectly. Clutch was checked and found to have plenty of life left so was not done when the IMS was changed. RMS was not leaking at all so was also not changed. (I greenlighted the shop to change both clutch and RMS if needed). PPI was done by Porsche Ottawa in 2014 and no deficiencies found. Both rear tires are new 2014 when I got the car. I installed the 4th stalk so the trip computer is activated. Further, child seat activation bar was activated and an override switch installed (purchased from eBay). I checked the serpentine belt when I got the car and it looks new so I did not change. Robbie, this car seems really nice, why are you selling? just wanting a change. Tempted to get a newer one or even a 911. Absolutely nothing related to this particular car. Downgrade to a 911? That's crazy talk! You know they put the engine at the back with those, right? At the back! We all know true supercars have their engines in the middle. 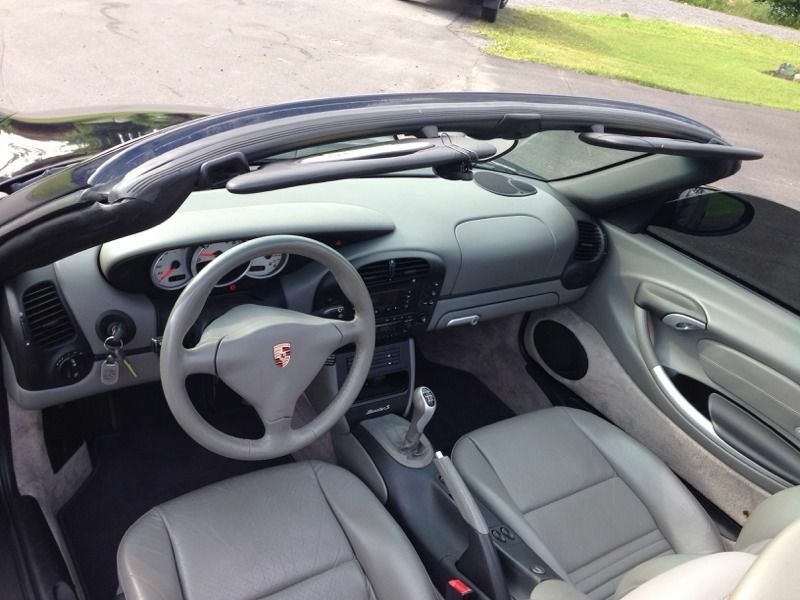 Having seen this car in person, I can say it is a fabulous example of the facelift Boxster. In a world of Arctic Silver Porsches, that hue of blue is one colour any owner would want to have. The car needs nothing to be enjoyed. I did an oil change day before putting the car away so as soon as the weather improves, she's ready to be driven. I should also mention I did the convertible top relay hack so top goes down anytime you want without the handbrake. This is the only spot I've advertised the sale but I will put the car up on Kijiji and Autotrader today.